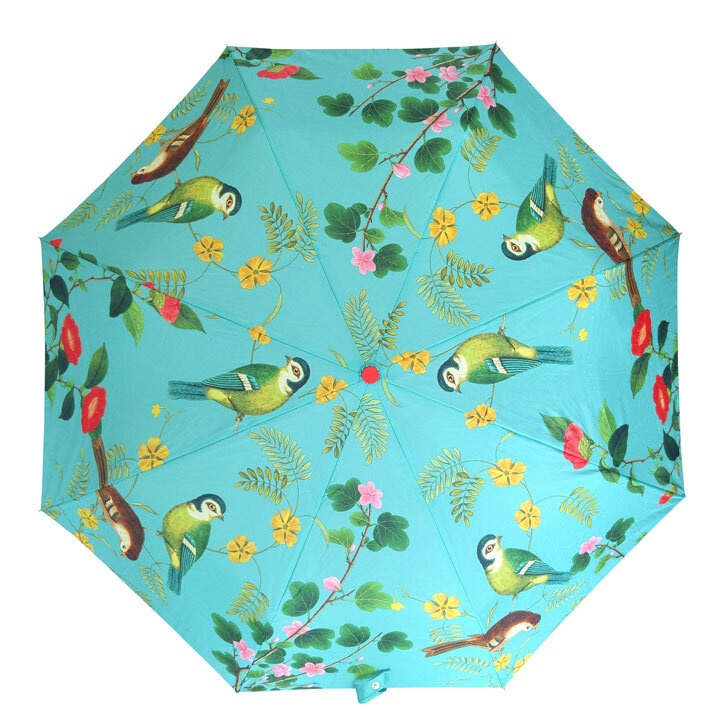 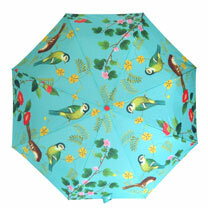 Stylish umbrella featuring the elegant new Flora and Fauna design. Features patterned sleeve and handy wrist strap. 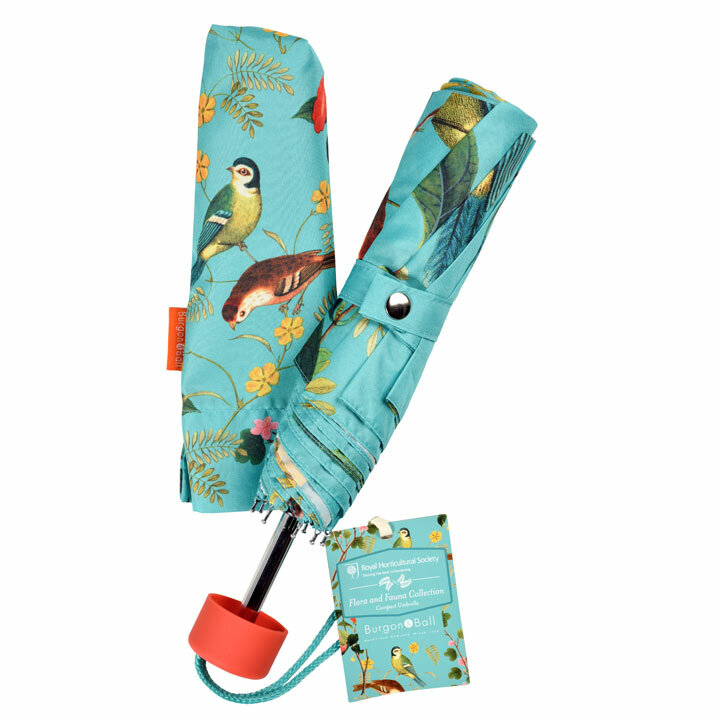 100cm in diameter when open, folds down to 24cm in length.